I've been meaning to post a mini review on the Nikon D800 body, but along comes Fujifilm to entice and distract me with yet another new camera! For those following this blog, you'll remember how taken I was with the Fujifilm X100, the fixed-lens 'retro' body that I got in March of 2011. In fact the X100, with its beautiful 23mm f/2 lens (35mm in full-frame equivalency), along with my Panasonic Micro-4/3 gear, is what accompanied me on my trip to Germany in 2011, where I left my heavy Canon DSLR kit behind. Funny enough, it happened numerous times during my travels in Germany that people walked up and asked if my X100 was an old film Leica! So the retro design is certainly aesthetically effective, but beyond that, I find it a joy to use a camera with mechanical f-stop, shutter speed and exposure compensation dials. You can glance down, even with the camera switched off, to confirm your settings and the tactile feel of the controls just adds to the pleasure of shooting with it somehow. In addition, being right-eyed, the position of the viewfinder means I can keep the camera snug to my face without having my nose press up against the LCD display. Despite its initial quirks, annoyances and performance issues, virtually all of which Fujifilm addressed in subsequent firmware updates, I loved using that camera. However those following this blog will also note that I never did buy the X-Pro1. Why? First off, there was no convincingly good wide-angle option. I tested all three lenses, the 18mm (27mm equivalent), the 35mm (53mm equivalent) and the 60mm (90mm equivalent) and while the two longer lenses are spectacular, the 18mm was not great as far as edge-to-edge sharpness. One of the best things about the X100 was its lens quality and the 18mm wasn't in the same league... nor was it wide enough either! I also can't get very excited about a 27mm equivalent lens for that matter. What I really wanted was a 24mm or wider! Then there was the body. As nice as it was, compared to the X100 it was large-ish, heavy-ish and heck, it was all black. I loved the silver & black styling of the X100, and all black just didn't look as good to me. Now mind you, if black was the only thing I hadn't liked, that certainly would not have stopped me buying one, but aside from its larger bulk there were also firmware bugs and slow and dodgy AF. In good light, its AF was certainly acceptable and accurate, but under dim artificial flickering light sources (fluorescent, neon etc. ), well sometimes it would just rack focus back and forth and give up in situations where even the X100 wouldn't have much difficulty. To be clear, after Fujifilm's recent version 2.0 firmware update, they have addressed the vast majority of performance concerns and now the AF has been hugely improved, not just in its speed but also its ability to accurately and repeatably focus in situations where the older firmware equipped body would have just given up with a red AF square and an "!AF" warning in the viewfinder. Make no mistake, the new firmware truly is a vast improvement! It felt like a redesigned camera so maybe now it was good enough to buy for myself? However in the meantime... the X-E1 body had been announced, and it was going to be available in silver too, looking almost exactly like the beautiful X100. And... a new 14mm f/2.8 with (seemingly) a more conventional style of manual focus that even includes a depth-of-field scale. Now we're talking! A 21mm equivalent lens who's MTF charts indicate it should be a much better better performer than the 18mm. That's the wide-angle I've been waiting for... done! Sold! I bought a silver X-E1 body off the first shipment we got at Beau Photo, as well the superb 35mm f/1.4. The 14mm is on order (hopefully arriving mid-December) and I am also awaiting the new XF 18-55mm f/2.8-4.0 OIS zoom - more on that later. 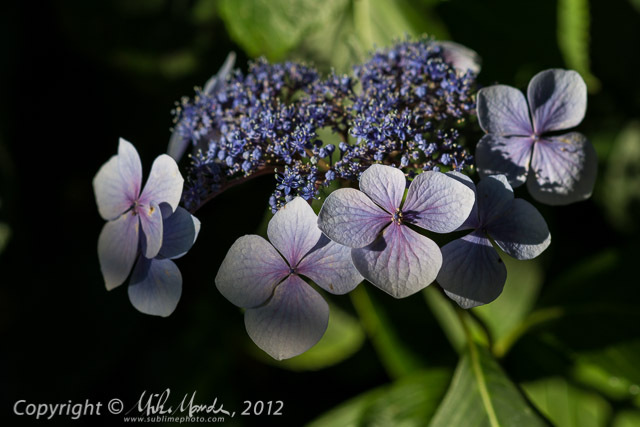 I may also pick up the excellent 60mm macro. And what a lovely, compact, lightweight interchangeable lens body it is! In photos, the X-E1 doesn't look all that much smaller than an X-Pro1, however in the hand it somehow works to seem a great deal smaller and lighter than the X-Pro1, mostly in a good way too. The X-E1 is everything I had hoped for in an interchangeable lens successor to the X100... well almost. The only thing I miss is the exceptional Hybrid-VF that both the X100 and the X-Pro1 have. In its place though, the X-E1 has an excellent 2.4 million dot OLED electronic viewfinder, and it is substantially improved over the EVF mode in its predecessors, however sadly the X-E1 does not have the optical viewfinder component. One major benefit I've seen from shooting with the X-E1 for the last few weeks, is the accuracy of the exposure preview in the new EVF. You really can judge what the final shot is going to look like from an exposure standpoint with accurate contrast, white-balance and saturation, far better than the rear-LCD, and there doesn't seem to be any additional shadow or highlight clipping due to the EVF itself, unlike my experience with many other cameras. In addition, the new EVF is sharp, has good eye-relief, has a diopter adjustment again (the X-Pro1 needed accessory thread-in diopters) and it gains up well in very low light levels without getting too grainy, allowing for ease of framing your shot even when you can hardly see the scene with your naked eye! The loss of the Hybrid-EVF is unfortunate though, since being able to see slightly outside the camera's captured field-of-view in a "rangerfinder-ish" fashion means you get a fraction of a second more warning when something is about to enter the scene, allowing you to perhaps nail that perfect moment. However, one thing that makes losing the Hybrid-VF more palatable, besides the excellent new EVF, is the $700 price drop from the the X-Pro1! The X-E1 body sells for only $999. Apart from the Hybrid-VF, did anything else important get lost? Amazingly enough no... from a performance and image quality standpoint, the X-E1 seems pretty much identical to the X-Pro1. It has the same 16 megapixel X-Trans sensor, sharp due to it not having an anti-aliasing filter, the same newly swift and accurate autofocus, more or less the same controls and ergonomics but in a smaller and lighter body. Really, the only other thing it doesn't have is the rock-solid all-metal construction of the X-Pro1. It does feel lighter and a little cheaper in the hand since a bit more plastic is used in its construction, but after a few minutes of use, the lightness was no longer a distraction and indeed, the lighter weight is quite welcome actually. 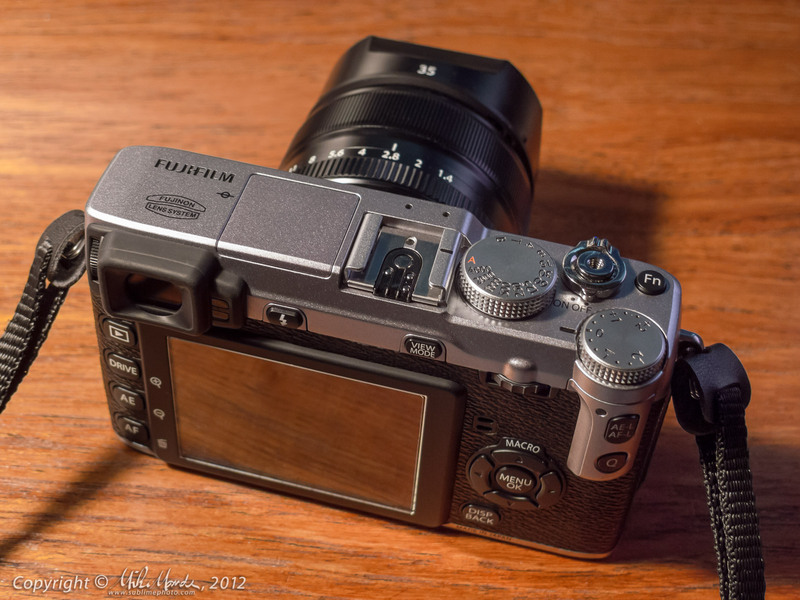 The X-E1 has actually gained a few minor improvements over the X-Pro1. It now has a 2.5mm stereo mini-jack microphone input for recording video (it works perfectly with the Panasonic MS1 stereo microphone I use with my GH2) and it has the ability to take an electronic remote cord as well as still having the old-style threaded shutter release. I have a third-party LCD timer-remote from JJC that I had bought for my old Fujifilm S100fs (a "bridge-camera" P&S from 2008), and it works perfectly on the X-E1. It plugs into the camera's mini-USB port and provides not only time-lapse functionality, but long exposure bulb timing, an exposure start delay and also a simple shutter release switch that also locks for non-digitally-timed bulb exposures. The X-E1's microphone jack also doubles as an electronic remote input (not tested but presumably a Canon RS-60E3 style mini-jack remote cord will work) so the X-E1 has a total of three different ways of triggering, two electronic and one mechanical. The mini-jack remote capability also means you could trigger the camera remotely using Pocket Wizards or other radio triggers. Very cool! Also improved are a few of the buttons and dials. For example, the 'Q' quick menu button is now flush with the thumb ridge and is much less likely to be activated by accident, something I found myself doing a fair bit on the X-Pro1. Also, the scroll wheel on the back is both easier to turn due to the larger rubberized ridges, and also has slightly stronger detents, making for a tactile improvement. Also, pushing the wheel down to its click point is much more positive, with a nice tactile detent rather than the spongy feeling one on the X-Pro1. Oh, and the X-E1 does have a mini popup flash too, which the X-Pro1 didn't, and it's one you can tilt back by hand for bounce duty. However it is small and quite weak, so while fine for some minor up close fill-flash work, especially at higher ISO settings, you may want to consider an external flash unit if your flash needs are more serious. From an image quality standpoint, the Fuji is (mostly) exceptionally good. Its dynamic range is approaching that of my D800 and better than any other previous camera I have ever owned and indeed even better than most DSLRs I have tested. You have lots of highlight recovery ability and you can push the brightness up in deep shadows without ever getting any banding or cross-hatching noise as is common with many other cameras, and you have to push it a lot before getting any sort of shadow blotchiness. You can view the above gallery of night shots (all single raw exposures) for some good dynamic range examples since many of the shots have had their highlights pulled back and shadows boosted for a "near-HDR" dynamic range. All this was done with simple slider adjustments in Adobe Lightroom and the occasional dodging and burning using the brush or gradient tool. Sharpness is outstanding, especially with the 35mm and 60mm lenses, but the sensor helps a lot here too and I'd say detail levels are close to 22-24 megapixel DSLRs that have conventional sensors with anti-aliasing filters. Colour reproduction is lovely, typically Fujifilm, and high ISO noise levels are shockingly low for a 1.5x crop sensor. Indeed, I'd say that only the very best of the current full-frame DSLRs will beat the Fuji in the high ISO noise department. The reason I said "(mostly) exceptionally good" above, when commenting on its image quality, is that if there is a weak point in the Fuji's image quality, it's due to the difficulty in processing the unusual X-Trans sensor raw files, which have a pseudo-randomized layout for their colour pixels. The reason for this layout is to eliminate colour moiré, which I've virtually never seen any hint of. Not having an anti-aliasing filter on a 16 megapixel sensor and having exceptionally sharp lenses would normally be a nightmare for moiré (I've seen this when shooting with a Leica M9 for example), but the X-Trans sensor really does avoid this very effectively. Image processing for standard Bayer-pattern sensors, used by virtually every other digital camera, has reached a very high level but since the X-Trans sensor is so different, not many raw converters even support the X-Pro1 and X-E1 yet. Adobe does support files from the X-Trans sensor, however at times its raw conversions can leave something to be desired, especially with Adobe's defaults for those cameras. I won't go into huge details in this blog entry of what the issues are, and when you look at the image galleries I've linked to in this article, even when viewing the large 2400 pixel wide versions, I think you'll have to look pretty hard to find any real issues. However with Adobe's default settings, there can be some colour bleed, colour smearing and thus occasionally a bit of a "watercolour" look to fine details, despite those details being very sharp in their luminance component. Altering Adobe's defaults can make for much better conversions though and I have now made some 24x36 inch prints that look stunning, however some issues can still crop up occasionally with certain kinds of fine detail. Amazingly, out-of-camera JPEGs actually look far better in some ways than Adobe's conversions. This is actually typical for all of Fuji's 'X' series cameras, where they have really put a lot of effort into making the JPEGs best-in-class. Fujifilm does include a version of SilkyPix, a raw converter that works quite well with X-Trans files and it can do raw conversions that are very similar in quality to the camera's JPEGs, but I find SilkyPix quite clunky to use and it doesn't offer anywhere near the sharpening, noise control or easy dynamic range enhancement that one can get when using Lightroom or Photoshop. The viewfinder optics have a tiny little bit of barrel distortion and are not quite as perfectly corrected as the X100 or X-Pro1. As good as the EVF is, there is still a little stuttering and lag when you move the camera in quick panning action, especially in low light levels. How much this bothers you really depends on how much experience you already have with EVFs. For me, not much of an issue. The battery door doesn't open far enough to allow easy access to the SD hard if you have big hands. This is also the case for the X-Pro1 but the X100 was much better that way since the door flipped sideways. However at least you can no longer insert the battery the wrong way and click it into place like on the X100 or X-Pro1! When you lock either exposure, focus or both (depending on your settings) with the rear AE-L/AF-L button, the exposure dials are totally locked out. In other words, say you are f/4 and you press the rear-button to lock focus. Then you realize you want to be at f/8 so you turn the f-stop ring to f/8... well the camera frustratingly stays at f/4! This is a serious bug (in my opinion) that was in the X100 originally, has not been fixed and has migrated to the newer 'X' cameras as well. Not only should locking focus have absolutely no effect on your exposure of course, but even if you were in, for example, aperture priority mode at f/4 and locked your exposure, the camera should still honour your settings changes. Let's say you're at f/4 and the camera has chosen a 1/125 shutter speed and you've locked focus or exposure. If you then set the aperture ring to f/5.6, the camera should then simply change the metered shutter speed to 1/60, keeping the same exposure value. You want to lock the exposure-value and not lock yourself out of making f-stop or shutter speed changes! It is very disconcerting to switch a "mechanical" dial and not have the camera honour those settings! Okay, the camera is small enough that there wasn't room to center the tripod mount below the lens, but why not offset it to the side opposite the battery door? When even a small tripod plate is on the camera, you cannot open the door for battery or memory card access. Continuous shooting mode is annoying since upon playback, by default your sequence is played back like a mini movie and is treated like a group of images. In addition, if you are not careful, you'll delete an entire sequence and not just one frame! This might be useful to some, and you can press the down-arrow key to access individual frames, but please have an option to treat sequences simply like normal, individual, sequential frames! Frankly, playback of continuous sequences are even more annoying on the X100 if I recall, and were more annoying on the X-Pro1 previously I believe, but I have to presume the latest firmware update for the X-Pro1 has made it behave like the X-E1, which is tolerable... just barely. When you are in manual focus mode, playing back an image causes the attached lens to be retracted to its off-state position. Then, when you resume shooting it immediately extends back to its manually focused position. On the 18mm, 35mm and 18-55mm zoom, this seems to work perfectly, but on the 60mm macro I tested, the focus position is shifted slightly. This is definitely a problem if you are not aware of it and, for example, are shooting multiple shots of a static subject on a tripod at a fairly wide aperture. I'm not sure if this issue is specific to the 60mm lens I've used, is a problem across the board to but too slight to notice on the wider lenses, or what, but it really needs to be addressed. My preference would be for the camera not to move its lens at all during image playback! That way one can be absolutely sure that the focus has not changed. In single-shot AF mode, you can change the size of the focus square. When you are in MF mode, you can press the AE-L/AF-L to temporarily activate AF, like having a dedicated rear AF button (cool!) but in that mode, you cannot change the size of the focus area and it is locked on the default size. Why? In image playback mode, the top Fn button is unused. Please make it a temporary histogram/exposure info button! For example, if you are in full-screen view, pressing the Fn button could switch you to different viewing mode temporarily and when you release it, you are back in full-screen view. You should be able to define three different modes: histogram/exposure info, blinking highlight clipping in fullscreen mode, and 100% zoom-to-focus point while-you-press-the-Fn-button in playback. The S100fs I mentioned actually worked in this way to bring up a temporary histogram/highlights/info screen and I found that really worked well! Have an option to make certain settings "sticky" after a power cycle. For example, I use a 2-second self timer a lot for nighttime tripod time exposures. I often switch the camera off to save the battery when moving to a new spot, and the self-timer is then always cancelled. I am slowly getting used to this quirk, but an option to avoid this auto-reset would be nice! On the X100, when you are in histogram/exposure-info playback mode, you can move the jog-wheel to switch between detailed info screens and also full-screen view with no data. On the new X-E1, you have to cycle through several info screens with the up-arrow before getting to the fullscreen view. However the down-arrow does not provide a shortcut to cycle to the fullscreen view. Currently the down-arrow is used on those annoying continuous shooting sequences to access individual frames (see point 5 in the list above this one), but if continuous sequences were treated as regular frames, this wouldn't be a problem! Please implement a changeable minimum shutter speed for auto-ISO. Nikon does it well, offering a minimum shutter speed biased towards faster, slower or exactly 1/focal-length speeds. The X-E1 is always fixed at 1/focal-length. The X100 has an adjustable minimum shutter speed, but being a fixed lens, it does not need the versatility that the X-E1 would need to make this useful. So there you have it, all my annoyances and suggestions listed, at least those that come to mind at the moment. Please note that none of these are deal-breakers and I do truly enjoy using the camera! If Fujifilm can fix a few bugs and incorporate a few suggestions, it will approach being a near perfect camera for my own personal operational needs! Sure, the AF could be faster in some situations too, but this camera is not a sports or action camera, far from it. I'll reach for my D800 if my AF needs are more demanding! I would say the AF is now nearly perfect for the type of photography, or photographer, that this camera is targeted at. Sure if you're making an X-E1 your one and only interchangeable lens body, then you'll have to weigh its pros and cons carefully but I don't think Fujifilm necessarily expects these cameras to appeal to everyone as a general purpose body. As far as lenses, well as mentioned, the 18mm is a bit weak but the 35mm and 60mm lenses are about as perfect optically as one could possibly expect, especially at their extremely reasonable price points! What about the new 18-55 zoom? Well I only had a brief chance to test one, due to the kindness of a customer at the top of our (Beau Photo's) waiting list, who let me open up the one kit we received, and I am very impressed. It is very nearly as good as the 35mm and 60mm lenses, and although it has a much slower maximum f-stop than the primes of course, for a compact kit zoom, the f/2.8-4.0 range is actually quite impressive. It noticeably outperforms the 18mm prime for frame-spanning consistency of sharpness and even beats it in high-contrast flare-prone situations. The zoom is sharp wide open at all the focal lengths I tested, with very little improvement as you stop it down - truly amazing. The stabilizer is extremely effective too and I could get consistently sharp results handheld at 1/5 second at its full 55mm zoom. For the money (only $400 when bundled with the X-E1 body) it is a bargain too! I have yet to do any testing of subjects at or near infinity, to see if it performs equally well, but indoors with my test scene at around 10 feet away, it did extremely well. If it proves good at longer distances too, then I'll honestly be able to say that it's optically the most impressive kit lens for any camera system I've used so far. Very enjoyable review Mike. Would like to see a set of macro shots with the 60 if you have time. I Have read that there may be issues with the lens reflecting light internally in shots (not sure of technical term) Look forward to seeing what you do with the 14mm. This was a great read Mike. And backed up by some excellent photos. I hope readers had a look at your Vancouver night shots. Really shows what this little camera can do. Hi Trev: I've added a link to the posting with some macro shots taken mostly with an X-Pro1. The last two images in the gallery I quickly shot in the rain after work today with my X-E1. Not sure if you're talking about lens flare on the 60mm? I can't say I've ever noticed anything other than normal, expected lens flare from the 60mm, not really any obviously different compared to the 35mm for example. Nothing unusual about it jumped out at me in any case, although it has a narrow enough field of view that one has to be quite deliberate to incorporate the sun into the shot, so it may just be that it never happened. Of course I tend to test wide-angle lenses much more vigorously when it comes to flare! Hi John: thanks for the comment, glad you enjoyed it! Trev, thanks a lot for the great and honest review - enjoyed reading it. I am stunned by the detail rendering of the camera and I would love to see especially picture "XE1_BC12_15483" in full resolution. The leafs of the tree are so crisp that I find we have a winner here. That´s the camera I was waiting for. Your review helped a lot to evaluate the real-life-usability of the e-x1. If the few hundred bucks are no essential - which one would you choose? Great review, many thanks. I'm currently deciding whether to swop to an X-E1 from a Sony Nex 7 and the high ISO performance is pushing me to the Fuji. Plus of course the manual controls which I love. Thanks again for posting this review, helps a lot. Thanks for the outstanding review. Have you found that LR4.3 does a better job than 4.2? How does it compare with the supplied SilkyPix Raw Converter? For those trying to decide on the X-E1, please note that its focus tracking is not very effective. This is definitely more of a static-subject camera, but in those conditions I find the AF to certainly work well enough and it seems very accurate. If you prefocus with a half-press of the shutter, and then wait for the right moment, there is very little shutter lag and you can capture a decisive moment with a moving subject as well, but you do need to plan ahead. Just thought I had better mention that. There are other more thorough reviews than mine, and you should definitely be looking at those before deciding on the X-E1 as a primary camera. thosh: Thanks. I will try to post a 100% crop from the shot you mentioned tonight. Dirk N: I would still choose the X-E1 even if they were near the same price. The smaller size, better EVF and ability to take an electronic release makes the X-E1 the winner in my view. However the Hybrid-VF on the X-Pro1 is very nice too, so you should try and test both yourself to help you decide. rogerb: Looking at X-Pro1 files (since LR v4.2 does not support the X-E1), I cannot say the release-candidate of LR v4.3 is any different looking from v4.2. However that doesn't mean that the final v4.3 of Lightroom won't be improved... it might? Thanks to all that have enjoyed the review and commented. thank you for your review. Awesome photos, especially the night photos! I am feeling the same like you, the X-E1 is beautiful! I have a black one (i like it black and evil, harrr). You´re right, it´s a joy to play around with this cam, the settings, exposure, shutter etc. and the Q-menu is really quick. The only annoying thing is the RAW problem. You already mentioned it in your review and it´s not a new fact so this i a question that i asked some other X-E1 users after their review ;). 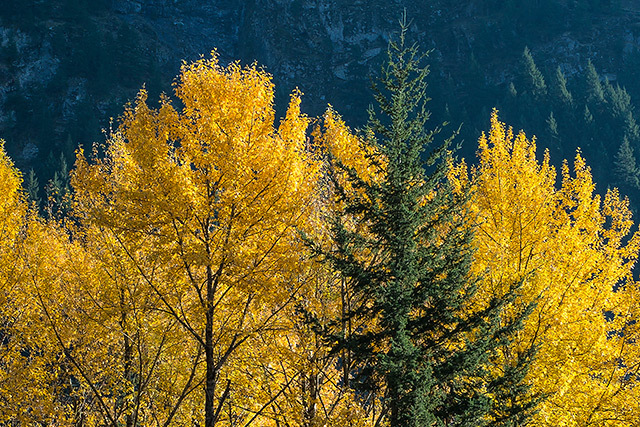 How do you adjust your Lightroom to get the best out of it? I am confused by the AF/AE Lock button as when you half press the shutter release it locks both exposure and AF any way, making the AF/AE lock button redundant? Oh..dear... 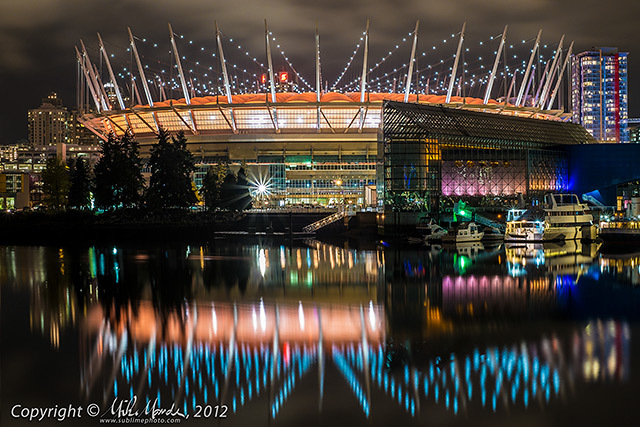 Very beautiful photos you took in Vancouver. I live here and have been to all these places: UBC, Granville Island & False Creek , and Olympic village...but none of my photos can match yours. 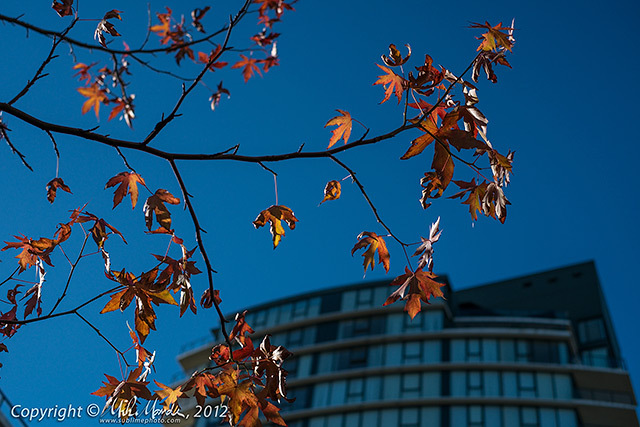 I will wait for my XE1+18~55mm to arrive in another week to find out just how good this Fuji really is. Really enjoy your review, & photos. Thank you. Damian: My basic Lightroom settings that impact X-Trans image quality are for sharpening and noise reduction. Generally for sharpening I use (33, 1.2, 100, 0) and NR I use (5, 50, 0 / 3, 50). Those are the slider settings I use for ISO 200 by default. If I crank up a ton of shadow detail, as in the night shots, I might increase the luminance or colour NR to taste. Normally, for a sensor without an AA filter and sharp lenses, I would tend to use something like (25, 0.7, 100, 0) as baseline sharpening, but the more aggressive sharpening seems to help minimize the "watercolour effect" to some extent. I'll also play with the radius and the amount a little to taste, but I always leave detail at 100 and masking at 0 unless the shot is at very high ISO. Gary: I should have mentioned that I like setting the AE-L or AF-L to "push once to lock, push again to unlock". That way I can focus on something, push the button to lock focus, freely recompose the shot and even take multiple subsequent shots of the same scene without worrying the camera will try to refocus. Once you "push to lock" you are also locked out of making any exposure settings changes and that is the frustration! Can't wait for your more in depth zoom lens test at infinity. I have the X-E1 35 and 60mm lens, great combo. I am also anxious to try your LR4 sharpening numbers. I forgot to ask on your Fraser county images I assume they were all taken at ISO 200 and you used your LR4 sharpening settings described above? Steven: Thanks and yes, if I recall, the Fraser Canyon shots were likely all at ISO 200 with the described LR settings. There is EXIF metadata below each photo in all the linked galleries so you can see the exact settings I used. The last shot of my dad was definitely at a higher ISO though and may have slightly different settings too. SILKYPIX, out of the question way to expensive.